This image was taken in early August 2016 in Oxford, MS. I hadn’t been to Oxford in many years, so while in the area I took a day trip over to visit the city, the Ole Miss campus, and Rowan Oaks (William Faulkner’s home). While meeting an old friend for lunch, I circled around the downtown Oxford square in search of puddles. 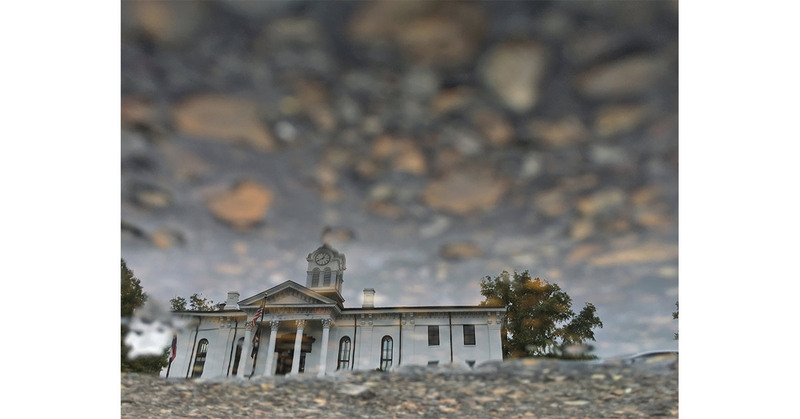 The majestic old courthouse lay in the center of the square and was the perfect subject of a puddle reflection.